It’s 2018 at the time of this article. Due to the acts of humans, the Earth has changed very quickly in a very short time – particularly in the realm of nature and our environment. 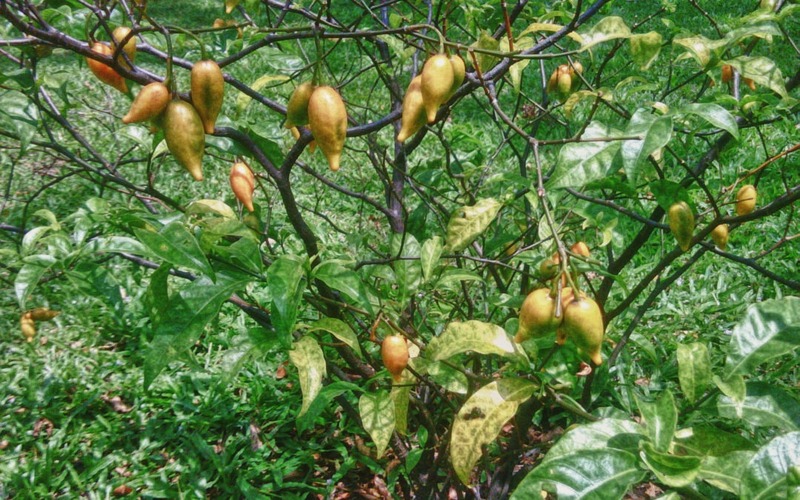 We have been very lucky to have found iboga, and discovered its applications for transformation and addiction recovery, and ibogaine treatment is saving people and is changing lives every day. However, because this treatment method is based on a substance that comes from a family of plants that grows only in one small corner of the world, when we consider environmental impacts such as deforestation and climate change – we are forced to wonder how protected iboga truly is, and how much longer it will be widely available to the humans that inhabit this earth, if we’re not careful and vigilant in seeking its protection. Increasing Global Demand. First and foremost, Tabernanthe ibogais in danger because more and more people know about it than ever before. There are more people practicing bwiti, the Central West African religion that uses iboga as a sacrament, than ever before, and the news of it’s use for transformation in the West, particularly in treating addiction recovery, is now out and widespread. Although ibogaine treatment is still illegal in the United States, its legality in countries such as Mexico, South Africa, New Zealand, the Netherlands, Guatemala, Costa Rica, and Brazil, has resulted in many recovery centers emerging in these places, with the goal of and much success in helping people detox and recovery from drug addiction. These two rapid changes in a short time has resulted in a higher demand for iboga than in the past, and although steps are being undertaken to keep iboga available and sustainable, this is probably the largest single threat to the plant and substance overall. However, thankfully, people are quickly becoming aware of the fact that iboga is a finite substance, and are beginning to make the necessary moves to keep it protected, but also harvestable and usable. As with anything involving humans’ interaction with nature, it’s a fine line, but one we are working towards finding. Evangelical Influence. Although many Gabonese practitioners of bwiti are public figures and the practice of this religion is generally accepted and widespread, unfortunately, local Christian and Islamic missionaries in this part of the world do not approve of it and, in many cases, would like to see it eradicated. As a result, the traditional practitioners of this religion, which combines African traditional religions with Christianity, have been somewhat marginalized, and the environmental threats to iboga have in turn been downplayed or ignored. It is difficult for bwiti activists to speak out for protective measures for iboga without exposing themselves as followers of bwiti, and many bwiti practitioners in government roles, who could pass laws to protect this plant, are simply afraid to label themselves as a part of this religion. Therefore, there has been lack of support in many ways for the passage of these laws, which has further lead to difficulties in fundraising for programs that aim to preserve this plant and areas in which Tabernanthe ibogagrows in the wild. The removal of forests throughout the world is a huge problem, and especially so in the West Central African rainforest, as that is where Tabrnanthe iboga grows. This forest covers nearly 90% of Gabon, and fortunately for that country, so far, deforestation has been slow – as of 2015, only .02% of the forested portion of Gabon has been cut down each year. In 2002, then president Omar Bongo protected nearly 11% of the country by creating a 7 million acre national parks system and thirteen new national parks in total, creating one of the largest proportions of protected land within a single country in the world. This is a good start towards protecting the land and forests in which iboga grows, but protection must continue, and individuals that work for Gabon’s National Parks Agency (ANPN) must be vigilant against businesses, people, and companies that seek to build in and obtain lumber from these precious forests, and even more protection is called for to preserve the rainforests in the rest of the country and the surrounding countries, too. Climate Change.Like deforestation, and in conjunction with it, climate change is effecting all areas in all parts of the world in one way or another. In the West Central African region, global warming has caused the temperatures to increase and the rainy seasons to become shorter and dryer. This causes a great deal of stress on the rainforest ecosystem overall. The lack of water causes plants to grow less per season than they did in the past, which can effect animal populations, which can in turn effect plant fertilization, growth, and development. In any ecosystem, everything is interconnected, so when one part of the rainforest system suffers, every aspect of it suffers along with it. As the forests retreat due to lack of water, there becomes less area in which Tabernanthe iboga can grow. The atmospheric levels of carbon dioxide are now 40% above what plants experienced just a century ago,and while plants do benefit initially from increased levels of this gas, eventually it becomes too much for them to process, resulting in higher temperatures in the rainforest and around the world. This is a worldwide problem that must continue to be addressed, quickly and thoroughly. As mentioned above, in an ecosystem, everything is dependent on everything else. Animals not only eat plants and each other, and then defecate, creating fertilization for the plants of the forest they and their prey will later eat in the cycle of life, but they also carry seeds upon their fur and in their feces and spread them throughout the forest in this way. In the West Central African rainforest, two animals that help to spread the seeds of iboga are monkeys and elephants, and both are heavily hunted. Although these animals are often protected species in Gabon and in the surrounding countries, poaching is a major problem. Even today people hunt elephants for the ivory in their tusks, and capture monkeys for use as pets and in circuses. These animals are also threatened by these things as well as climate change and deforestation discussed above, and as their populations dwindle despite all efforts, the germination, growth, and spread of Tabernanthe ibogais in turn effected as well. Lack of Traditional Agriculture. Gabon’s population has increased from half a million people in 1960 to around two million people today– which is a drastic amount of population growth over the past sixty years. Its neighbors, Equatorial Guineaand Cameroonhave also grown at an even higher rate during that time. These countries have never been known for agriculture; rather, the population took what they needed from the rainforest and that was enough to sustain them and keep them happy and healthy. The native people who live in the forests of these countries have been hunters and gatherers for as long as their people have populated this part of the world. However, now that the population has increased, there has been a greater need to feed the people of these countries, and as a result agriculture has begun to expand. In order to do so, trees and forests must be removed, and this sort of deforestation in particular has started to limit the places in which Tabernanthe ibogacan thrive. Not only has the population of these countries grown by leaps and bounds over the past few decades, but the urban population in particular has increased heavily as well. For example, thirty years ago, only 20% of the population of Gabon lived in the urban centers, but today, 85-90% of the country’s population lives within a city area. As a result, land prices and security costs have gone up immensely in the more rural areas, making protection of land for preservation’s sake much more difficult, and planting of more iboga more difficult still. Although most people reading this likely live thousands of miles away from the West Central African rainforest, there are still things we can do to help protect the rainforests and this rainforest, where iboga grows, in particular. There are many non-profit organizations in which we can get involved, and support financially with donations, that work hard to combat climate change and deforestation in Africa and around the world, which protect animals and discourage poaching, and which promote the preservation of disappearing and threatened tribal cultures. Furthermore, writing letters to the governments of the countries in Central West Africa can be helpful in letting the leaders of these countries know that people far and wide around the world are concerned about their environment and that the problems they face are not merely of local interest. Informing others about these threats, and the ways in which we can work together to stop or slow them, is also important. Don’t simply read this article and then move on with your daily life; think about the ways you can take action. “It takes a village” is a common phrase that has almost been overused to the point of cliché, but it is also true; if everyone works together to make small changes, then large changes will begin to appear. At Clear Sky Recovery, we are concerned about and conscious of the issues that face Tabernanthe iboga, and are environmentally conscious in our harvesting of this healing and transformational substance. We do not, and have never, sourced materials from Gabon. We want iboga to be available to not just people in need in the western world for many generations to come, but we also even more importantly encourage legislation and actions that will keep it available to traditional practitioners for religious use as well. If you are interested in learning more about the ways in which we at Clear Sky work to keep iboga sustainable, please contact us. Furthermore, if you or someone you love is struggling with addiction, please reach out to us as well. Our intake specialists are standing by to discuss ibogaine and ibogaine treatment with you, and the ways in which it can help you in your specific and unique situation. We are here to help, and look forward to hearing from you. Our facility in Cancun, Mexico is designed for people just like you, and our doors are always open to your needs.